Friday Recap 5/11: All Things People’s Fair | All Things People's Fair! So here we are, somehow we have sprung into May! Time is flying and we are getting busier! We have 22days until the 41st Annual Capitol Hill People’s Fair! That is so exciting! In case you have missed our posts and updates, here is what is Happening Now! We are really excited about our sponsors this year and would love for you all to show them some support! We post them daily on Facebook and Twitter. If you are on Facebook, Like their page! If you are on Twitter, Follow them! Stop by their booth while you are at the People’s Fair and find out more about our amazing sponsors! Do you want a chance to win VIP passes to our tasting tent? 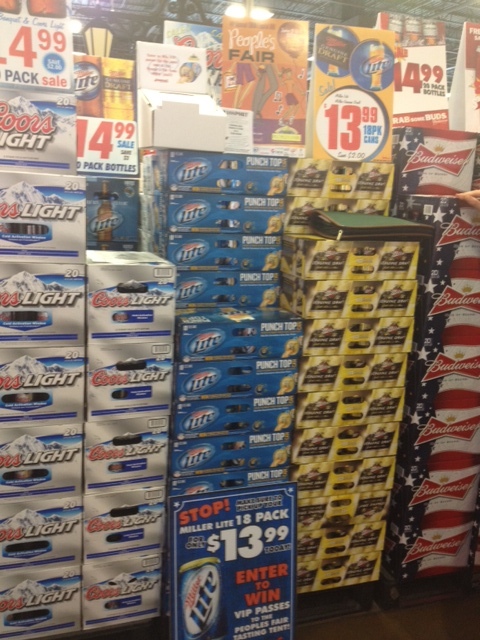 Find the display at Argonaut and enter for your chance to win those amazing tickets thanks to MillerLite! Be sure to Like us on Facebook, Follow us on Twitter and if you haven’t done so, subscribe to our blog!